The role of trees in people’s lives and planet Earth is immense. Starting from the Garden of Eden with the Tree of Life, to the presence of trees and nature in poems such as those of Romanticism (William Blake with Poison Tree, William Wordsworth with The Green Linnet), trees have always been full of symbolism. You have probably heard of the old saying: “Without trees there would be no life”, so what is it exactly that makes trees so essential? They provide oxygen to begin with, while reducing carbon dioxide. This way they help regulate the climate, as well as protect the environment from pollution which is especially important nowadays with all the advancement of industry and technology. Along with it, they can serve as homes for wildlife, prevent landslides and help us stay warm in colder days by providing wood. Also, we must not forget the endless amount of trees used to make our books and notepads. Decades ago, more accent was put on the use of trees rather than planting them, which led to climate changes and other serious ecosystem problems. Luckily, people are more environmentally oriented nowadays and into recycling, thus many programs are being created for planting and protecting trees. This also brought about Schools Tree Day and National Tree Day so no one is left out of contributing to the planet’s well-being. Adding a tree can be as important as adding art in your living room, since it is important in creating the style. A home (along with the garden or yard) can speak volumes about the owner. Simply said, you have to thread carefully when choosing the adequate tree for your space. Because you will be able to find a plethora of advanced trees for sale, here are a few tips to pay attention to before you do the shopping. First of all, you have to decide on the type of tree you want to have. There are so many trees out there you may not even know of, and this is why it is crucial to do your own research. What goes in your neighbour’s yard does not necessarily mean it will go in yours. Envision your space and make up your mind on the exact kind of tree that matches your property. Then, respectively, you have to think of its purpose. 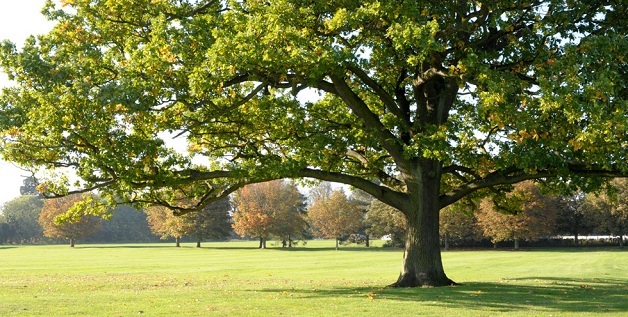 If you have a huge space and you are after a large shade, you should look into oaks (for instance pin oak), they are also ideal for privacy. However if you are more into creating a vintage orchard-like yard, you will more likely prefer fruit trees, such as crab apple, drooping rosebud cherry, flowering or Manchurian pear. You cannot go wrong with olive trees either as they spread an incredible scent. For an ornamental purpose, with the main focus on styling your yard, you could choose from the many Japanese maples (purple or fireglow) or go for the golden ash. For the best outcome and optimal growth, the quality of soil is also important. Get to know more about the type of soil you have and based on that you can conclude which tree is most likely to successfully grow. You certainly would not want to plant a tree only to see it withering because of its bad living conditions. You can even do the shopping from your home as there is a great deal of affordable advanced trees for sale online, so you have the chance to see tree specifications and learn something more about a certain type you are interested in. Sometimes people tend to think deeper planting is better for optimal growth and strengthening of the tree but you may deprive the roots of the needed amounts of water and oxygen, therefore you should consider contacting professional landscapers from the nursery you buy the tree from and you will rest assured knowing your tree is in safe hands.